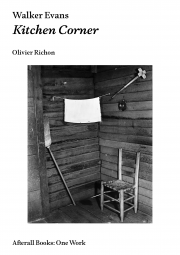 Olivier Richon provides a detailed examination of Walker Evans’s now-iconic 1936 photograph Kitchen Corner; in doing so he reveals an unexpected set of visual and literary associations that lie beneath the surface. In light of the recent publication, Ellen Cantor: A history of the world as it has become known to me, Sabeth Buchmann examines the politically prescient work of Ellen Cantor. 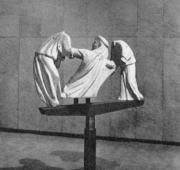 Artists Graham Ellard and Stephen Johnstone consider the radical museum and exhibition display design of Franco Albini. This title in the Exhibition Histories series looks at Chiang Mai Social Installation, a series of artist-led, self-funded and anarchic festivals between 1992 and 1998. 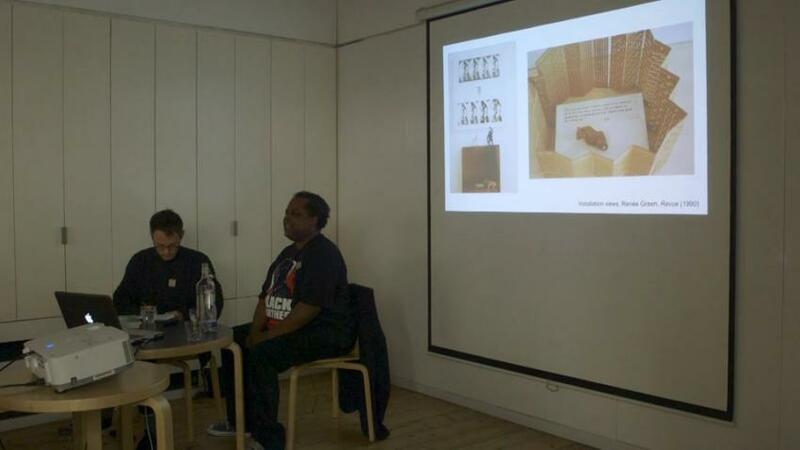 David A. Bailey was joined by Louis Hartnoll to discuss ‘Mirage: Enigmas of Race, Difference and Desire’, an exhibition that interrogated the legacy of Frantz Fanon’s Black Skin, White Masks held at the Institute of Contemporary Arts, London in 1995. Afterall is a research and publishing organisation that focuses on contemporary art. It is with great sadness that we learn of the passing of Okwui Enwezor, whose thoughts and practice have been a continual inspiration for Afterall. Through publications such as Nka, landmark exhibitions including Documenta11 and 'The Short Century: Independence and Liberation Movements in Africa, 1945–1994', and his critical, creative and historical writings, he has transformed the field of contemporary art as a global forum. 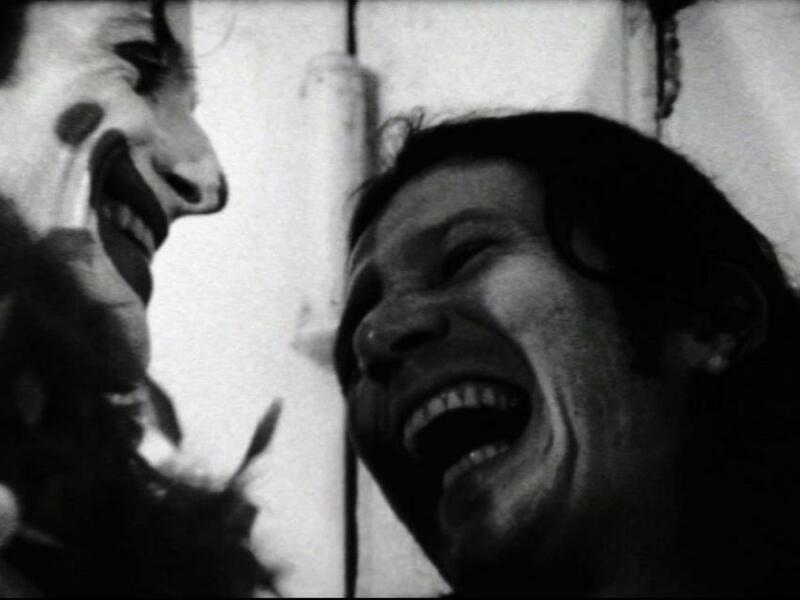 His influence is incalculable, and will continue to inspire many generations to come. We are deeply saddened to hear of the passing of Lee Wen. 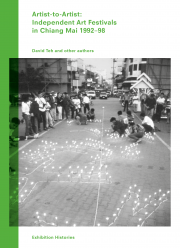 Our editorial team recently had the privilege of launching Afterall 46, for which he provided the cover image, and Artist-to-Artist: Independent Art Festivals in Chiang Mai 1992-98 with him. We will remember him for his energy and wit, and for the importance of his work in Southeast Asia and beyond. In recognition of this we have made Alice Ming Wai Jim and Võ Hô`ng Chu'o'ng-Đài’s recent articles freely available online. On Thursday 18 April, artist and curator Charles Gaines will be in conversation with editor Louis Hartnoll and writer and researcher John Tain discussing ‘The Theater of Refusal: Black Art and Mainstream Criticism’. Visit the event page to book tickets and find out more details.